spruce and Norway spruce, they seem to form a pinwheel whorl. as they do for Norway spruce. Norway spruce is very similar and common in the Glebe. 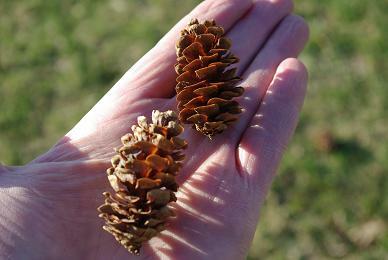 The cones are very different. 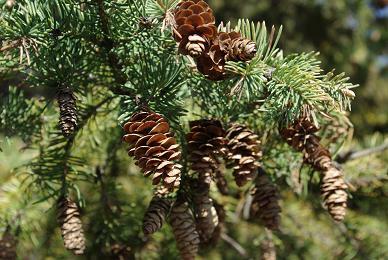 White spruce cones are about 2-3"
longer than white spruce end segments. spruce bark seems more scaly. are somewhat longer and paler and the lips of them are fringed, not entire. 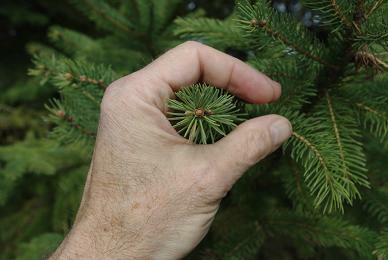 Balsam fir: the needles are flat and have two distinct white lines.